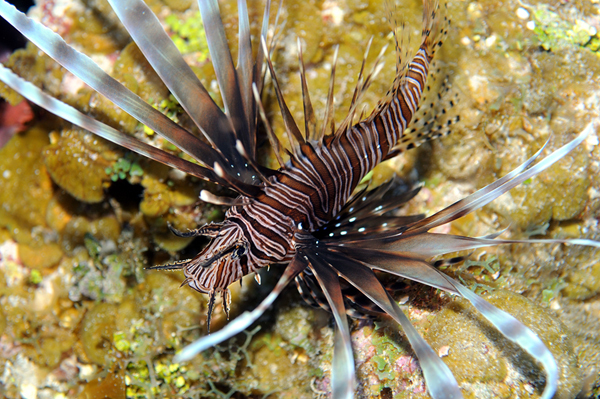 Title: Lionfish (Pterois volitans [Linnaeus, 1758] and P. miles [Bennett, 1828]) records within mesophotic depth ranges on natural banks in the Northwestern Gulf of Mexico. Comments Specimens observed. Water depth = 82.5 m. Habitat = hard bottom.